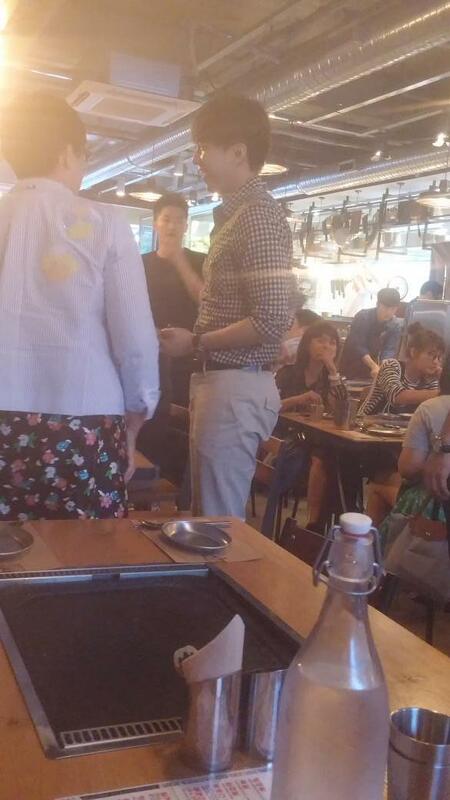 Here’s a 2nd fanpic of Seung Gi at 3rd Street Butchers tonight. According to the person who posted the first fanpic, he left already. There was no mention about who he was with but the woman Seung Gi is speaking to appears to be Noh Hee Young, former CJ Executive Brand Strategist. Categories: fanpic, Photos, sighting | Tags: 3rd Street Butchers, fanpic, hongdae, sighting | Permalink.